TGIT!! Thank goodness it’s Thursday! I feel like this has been one of the longest weeks at work, so I’m SO excited it’s almost over! Who else is back in full Fall TV mode?! Thursday evenings seem to have the best shows again this year! I’ve got my DVR lined up, and I’m ready to curl up on the couch this evening! 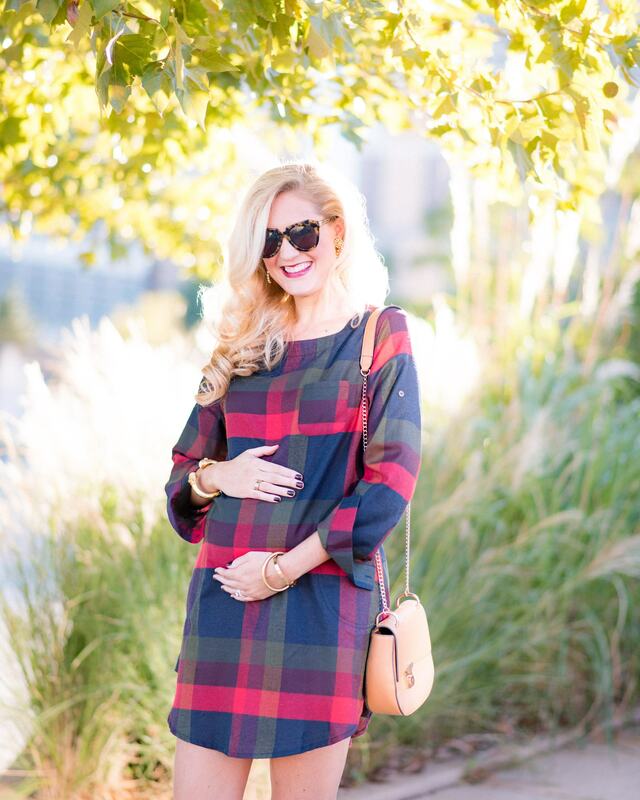 I wanted to share this fun plaid dress I ordered from Cupshe last year! I’m so glad they’ve restocked it. 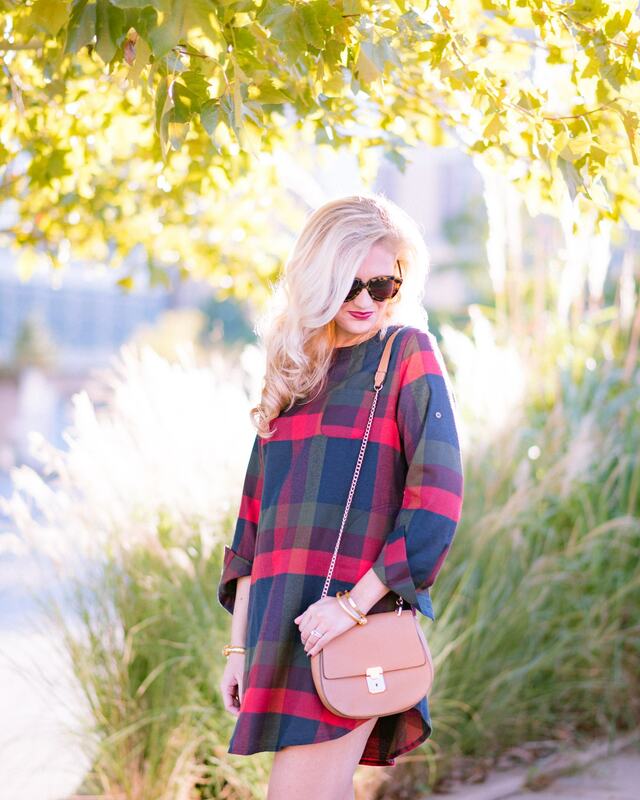 I love the flannel and the plaid print. 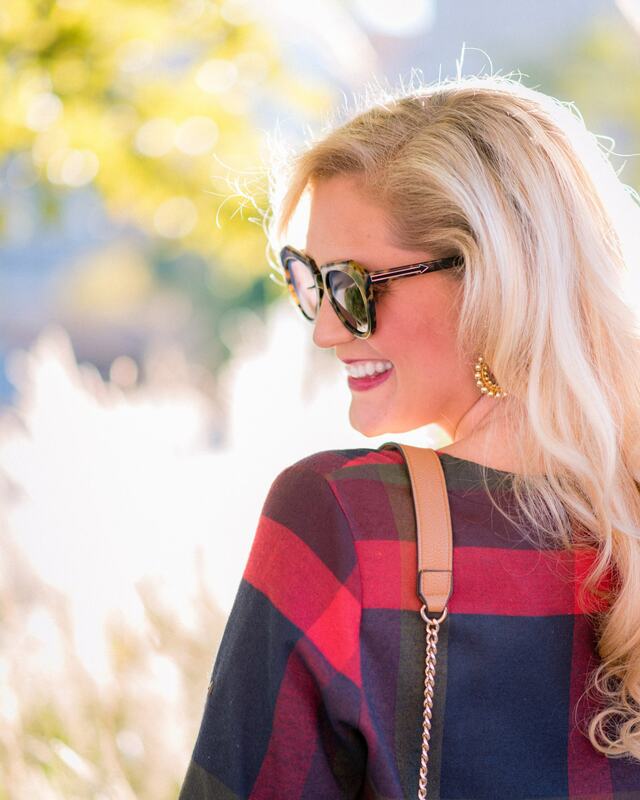 It’s the perfect plaid to transition from Fall into the holiday season. It runs true to size and can easily be dressed up or down. 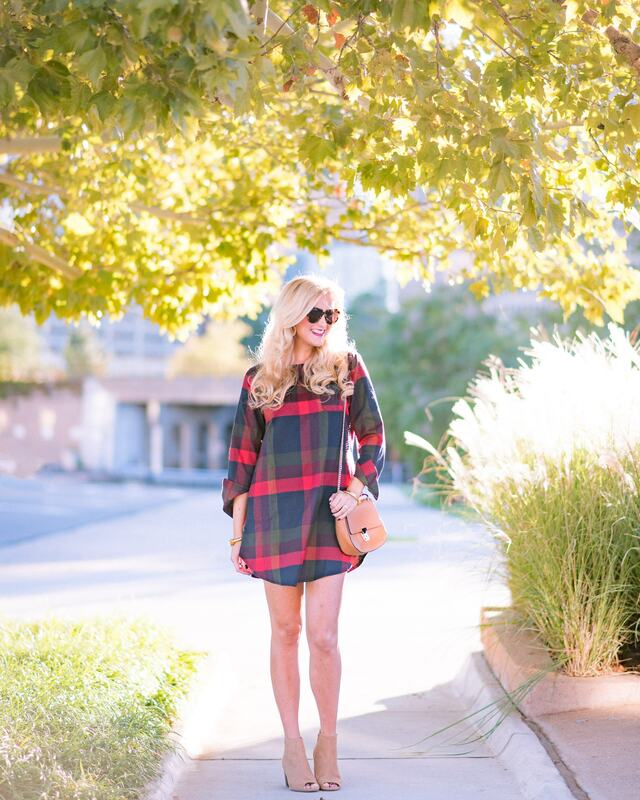 Since it’s still been pretty warm here in OKC, I paired it with some peep toe booties from Old Navy. Later this winter, I’ll add some over the knee boots and glam it up a bit for Christmas events! 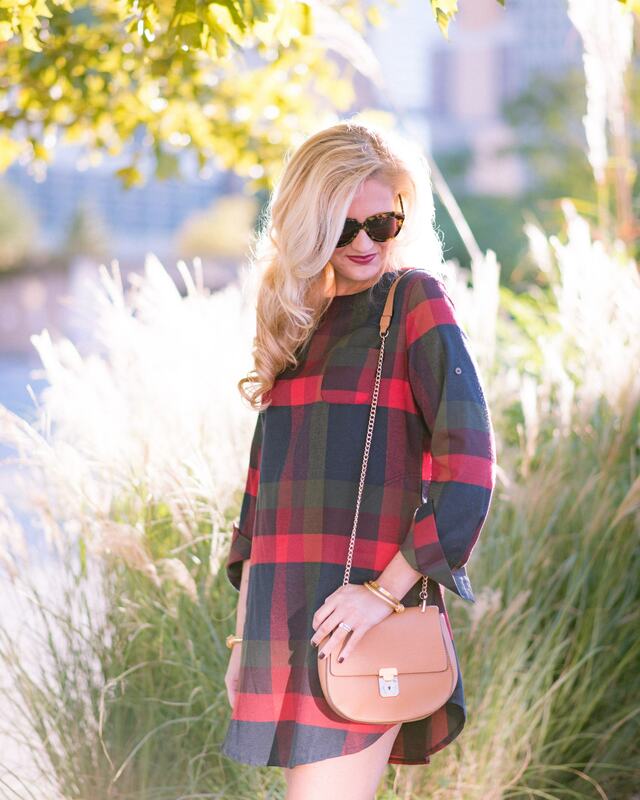 I also wanted to link the Essie nail polish I’m wearing in these pictures! It’s called "Shearling Darling", and it’s a great dark burgundy color. I wanted something new since I tend to wear blush and pink nails in the Summer! I’ve linked it from Ulta, but you can also find it at Beauty Brands.